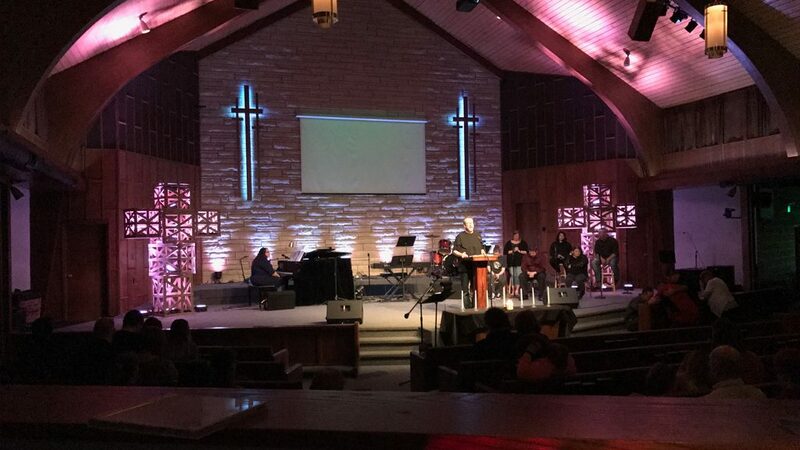 South Side Church of the Nazarene is a vibrant faith community centered in and committed to the city of Muncie. Join us Sundays at 10:30 am at South Side Main Campus (3500 West Fuson St., Muncie) where people of all ages can learn what it means to follow Jesus. Sunday gatherings – Sunday gatherings help people of all ages discover a meaningful relationship with Christ and grow in spiritual development. This is a time for the broader church family to gather together around the preaching of the word, the eucharist of Christ’s body and blood, giving of resources to the life of the church body, and communal celebration of who God is and what He is doing in our lives. Liturgy is the “work of the people”; a time to practice and rehearse what it means to be the people of God. Our worship is rooted in two thousand years of the church and the historic flow of worship. At the same time we believe the Spirit is still active and present. When we gather, we are responding to a call to worship. By grace God calls us to himself to find renewal and restoration so that we may be his image bearers for the world. Singing is the language of the Kingdom. It is through songs corporately sung that our voices rise above our own issues and needs and join in the chorus of praise sung to God throughout the world from the beginning of time. We use a mix of ancient hymns and current songs. Each week we share the good news of Christ by telling stories of what God is doing in and through our community. We remind ourselves that even though there is darkness all around us, the Light is Winning! We believe prayer is about seeking to weave the kingdom of God into our lives – our relationships, our worries, our fears and failures – and into our broken and fallen world. Prayer is conversing with God and collaborating with His actions in the world. Prayer is the beginning of an uprising against the disorder of the world. The liturgical practice of the offering indicates that Christian worship — which is a foretaste of the new creation — embodies a new economy, an alternative economy that counters the consumption, hoarding, and greed that characterize so much of our world. We believe that the Word of God is living and active. The sermon, then, is a message presented to the Church each week which presents God’s word and calls people to respond to it. During this time God’s Word ministers to us, challenges us, heals us, frees us, and above all invites us to surrender ourselves to the good and loving will of God. As God’s Word challenge us, we sense the Holy Spirit leading us to respond to Him. We believe that our response should be out of obedience. Whether you feel led to pray at the altar, take the Eucharist, fill out a “next step” card, or pray at your seat, our hope is that everyone senses the freedom to respond in an appropriate way based on the Spirit’s leading. In this meal and sacrament we remember and participate in our Lord Jesus’ sacrifice. We believe that this meal is surrounded by the mystery of Christ and that in it we are united with Him as he is united with his Father. We are blessed to be a blessing. The benediction is a prayer that God would bless and preserve His people as they leave the assembly and that would carry His grace and peace out into the world around them.